Rondo supplies a wide range of direct fixing clips that allow you to direct fix Furring Channels or Ceiling Battens to either concrete, steel or timber ceiling structures for suspension depths of up to 200mm. If a greater suspension depth is required, you can install a Rondo suspended ceiling system. Direct fixing clips need to be fixed along the sections in accordance with the relevant maximum span tables and our Furring Channels should be spaced as per the building board manufacturers’ recommendations. Using our metal Ceiling Battens in residential applications will cut back on the cost of call-back maintenance as they help control movement and this reduces the chance of the lining board cracking. 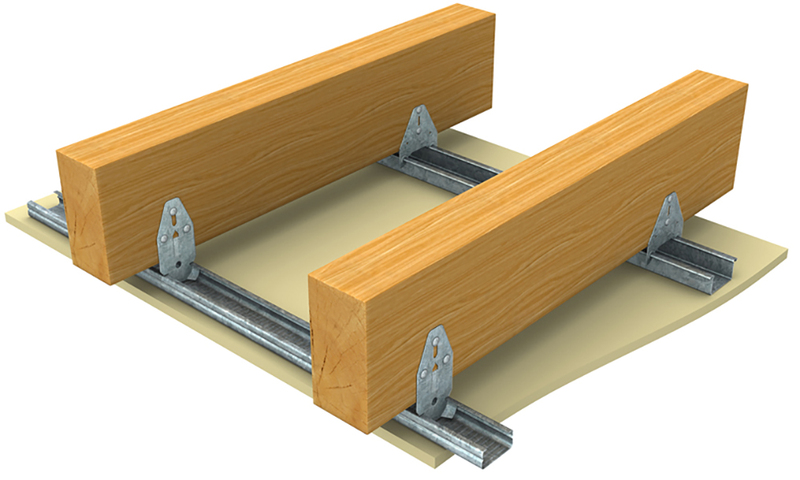 We have a range of ceiling batten systems which are suitable for truss spacings from 600mm to 1200mm and for use in cyclonic and high wind areas.